Dollard clumped slowly through the snow back to the palisade from the meeting with the governor, his mouth drawn, his expression gloomy. Searing to himself, he climbed the wooden steps fifteen feet up to the walkway next to the stone tower and met Pierre de Belestre. He started fuming, walking rapidly up and down the palisade wall, swearing under his breath. De Belestre waited patiently. "Come," he said, "walk with me on my circuit." They walked slowly around the walls checking the six gates and passing another guard moving in the other direction. Whenever he came into view they lowered their voices. "I didn&apos;t mean to imply that it was his fault we hadn&apos;t attacked the Iroquois!" said Dollard. I don&apos;t think he took it that way," said de Belestre. "Pierre, I can&apos;t stand it here any longer like this! We&apos;re dead men if we do nothing. Either we&apos;ll die of boredom in this ice country or we&apos;ll be killed by the savages! We&apos;re like animals waiting to be killed at the whim of the hunter. Is this why we came to the New World, to die like rats?" He turned, looked out over the palisade wall and yelled: "Come and fight, you savages!&apos; He turned back to de Belestre, "But of course, they won&apos;t; they&apos;re not stupid. They know that if we fight them in the forest they win, and if they keep us here, they win! Either way, they win." De Belstre automatically looked out over the walls even as he listened to his friend. An attack could come at any time. "I don&apos;t know what we can do about it...it&apos;s three more years until our  commission is up...no, we&apos;ve got to do it the way you&apos;ve suggested. This plan will break through Maisonneuve&apos;s caution. "God, I hope so. Else I&apos;ll go crazy. I could go crazy. That would be good. Then I wouldn&apos;t know the difference. Or I wouldn&apos;t care." "Well, at least they&apos;re going to consider it," said de Belestre. "Look, Maisonneuve has lots of battle experience against the Dutch. He&apos;ll see the virtue of the plan." "I&apos;ve tried Pierre. I&apos;ve tried to do it his way. I worked all last summer on the land Maisonneuve gave me but I want to cut down Iroquois, not trees. Most who came here are settlers; we are soldiers. We fought the Dutch too." "Lambert Closse and le Moyne are on their way to wealth and property by getting furs, not by growing vegetables," said de Belestre. 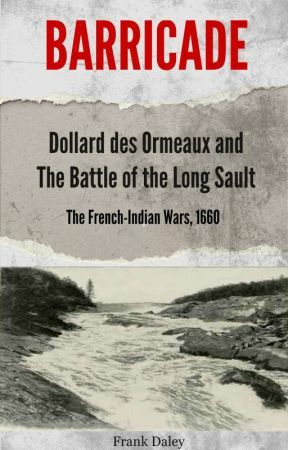 "As garrison soldiers there&apos;s no way we can get furs short of going out and taking pelts from the Iroquois, thereby making battle serve economy," said Dollard. "Ever since Pierre Esprit Radisson suggested this idea, I&apos;ve thought of nothing else." "He&apos;s spent years with the savages," said de Belestre. "he knows their ways." "He told me he&apos; s sick of running rapids and not knowing if he&apos;s going to get shot,"
Dollard said, "He says my plan will work for us and besides he needs the waterways clear so he can bring back furs. Damn it, Pierre, I still want you to come with me. It&apos;ll be a hell of a fight!" "Dollard, you know I want to go but I can&apos;t...who will command the garrison?" "Maisonneuve can get a replacement for a few weeks." "No. If we both go, he&apos;ll appoint two replacements. And when we get back, nobody&apos;s going to say, Oh, welcome back, here are your old positions. 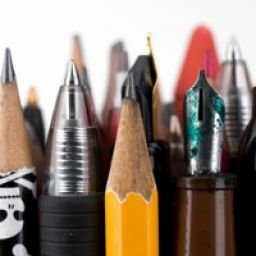 Every man our age wants our commissions...if we give them up we won&apos;t get them back." Dollard slumped against the palisade. "It&apos;s only for two or three weeks, Pierre. How can they replace us like that?"